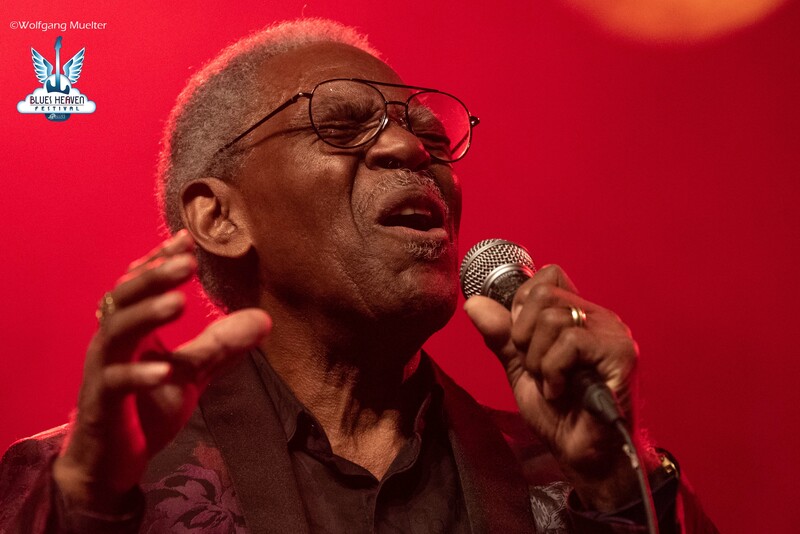 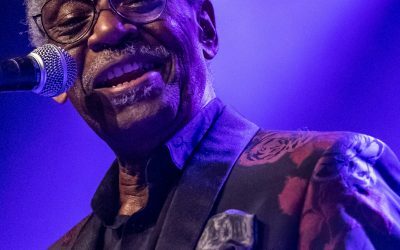 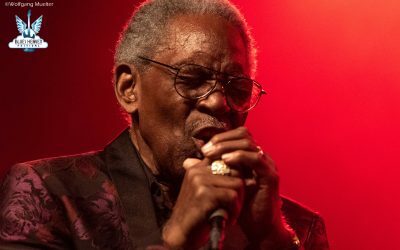 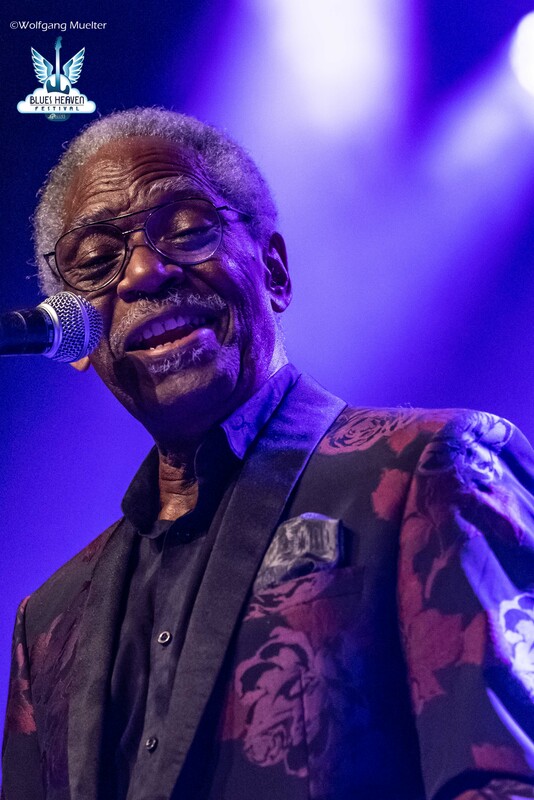 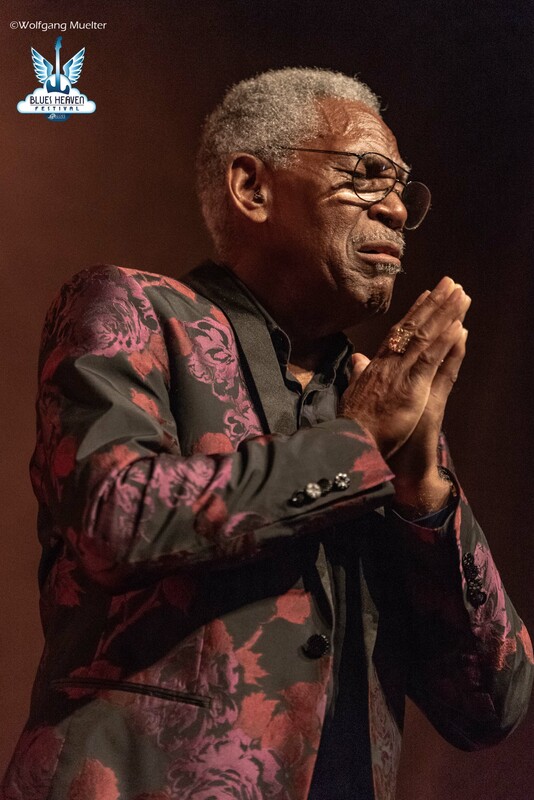 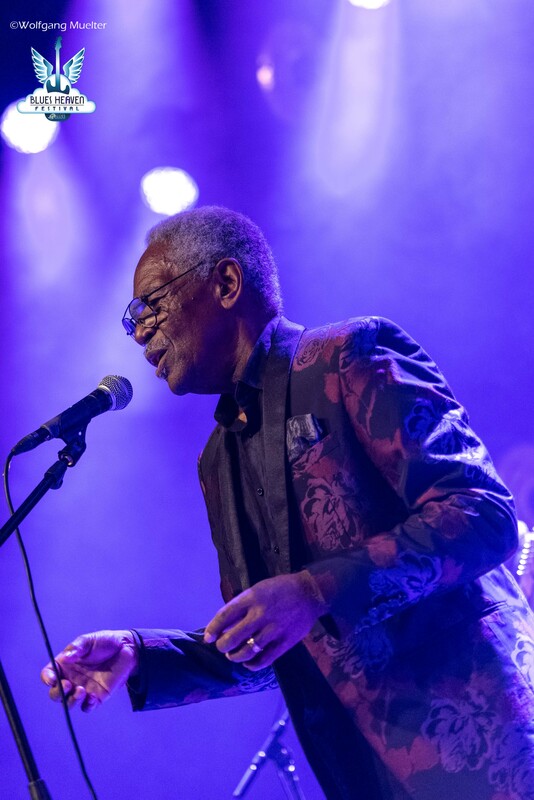 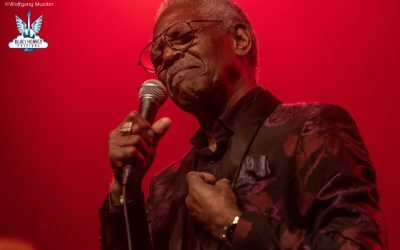 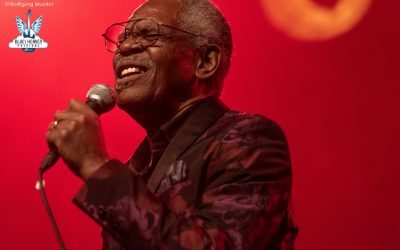 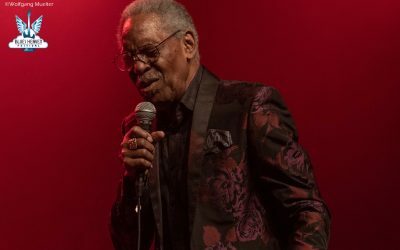 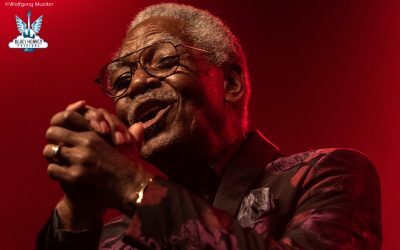 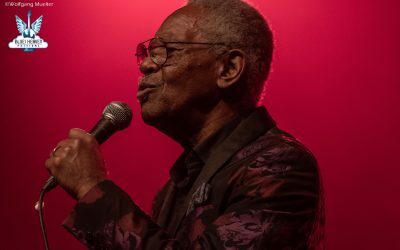 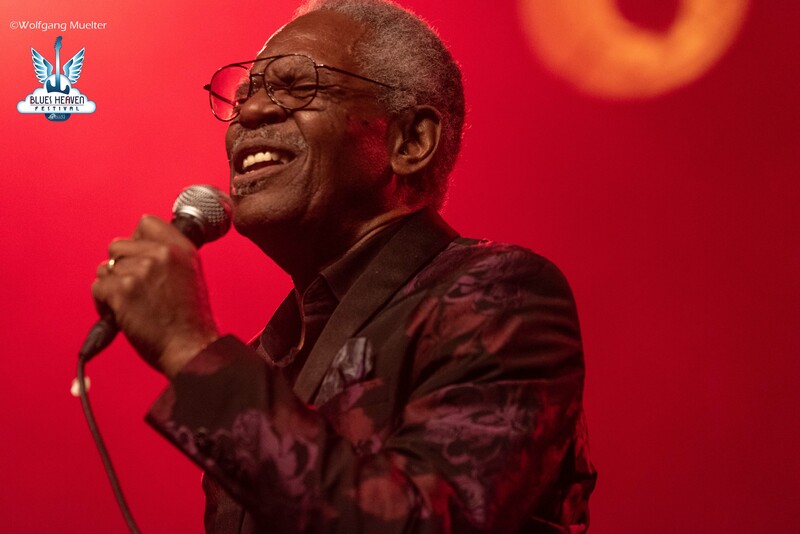 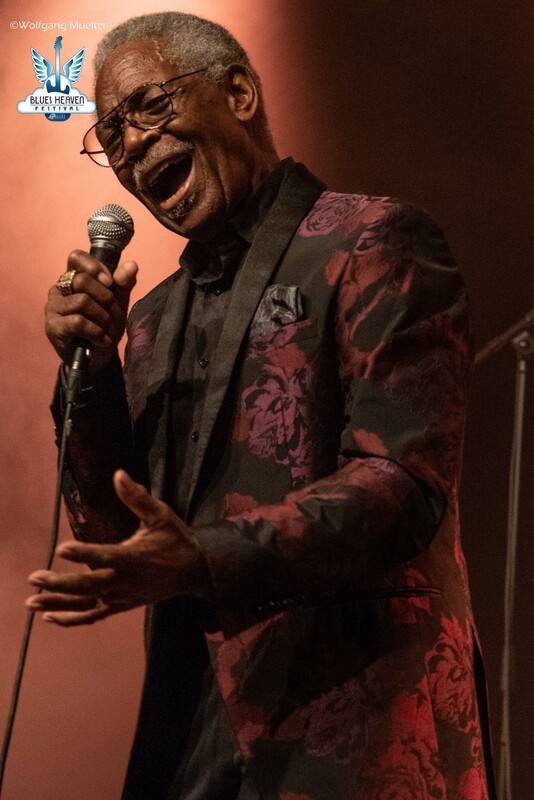 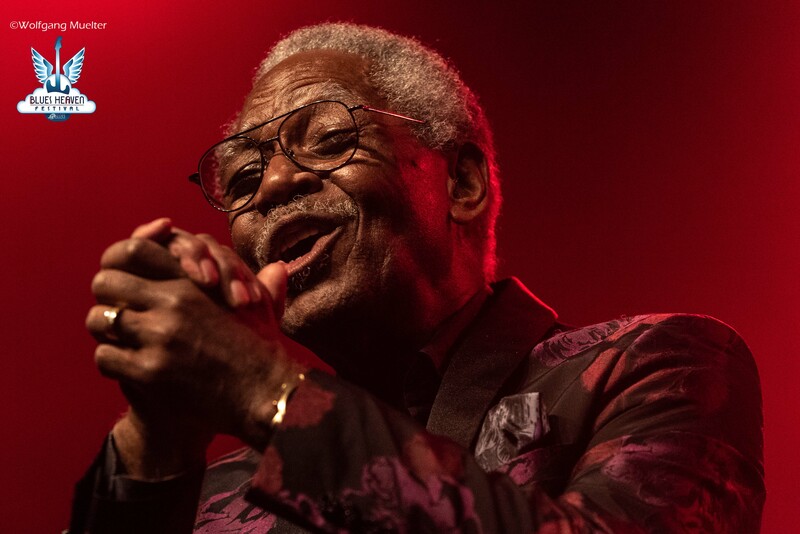 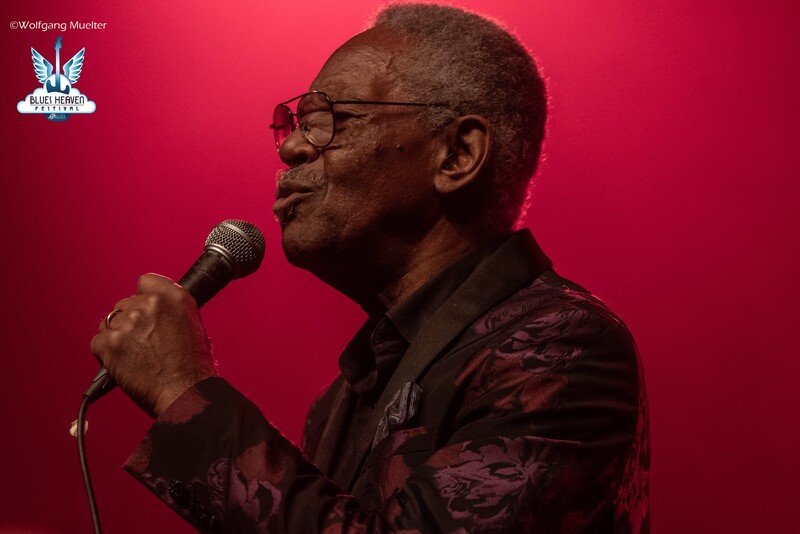 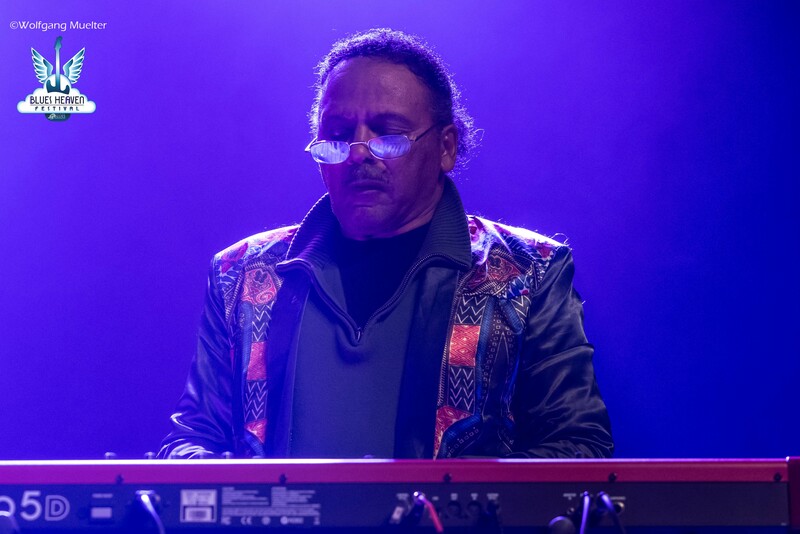 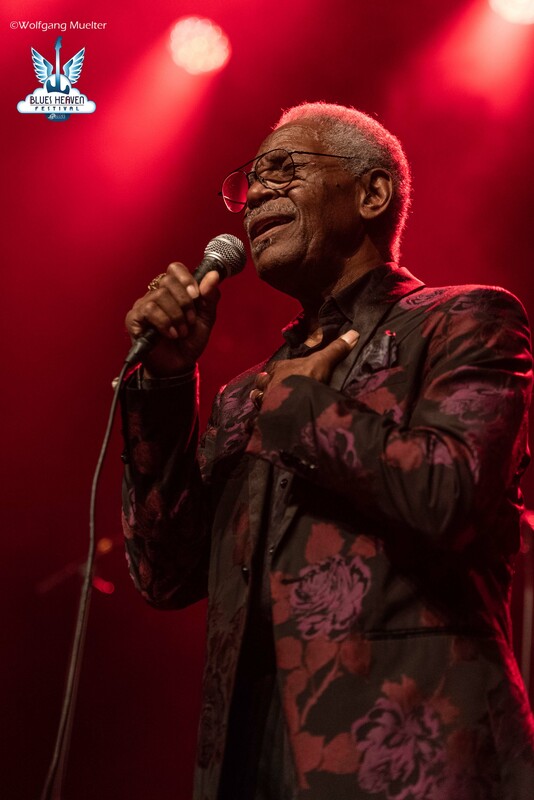 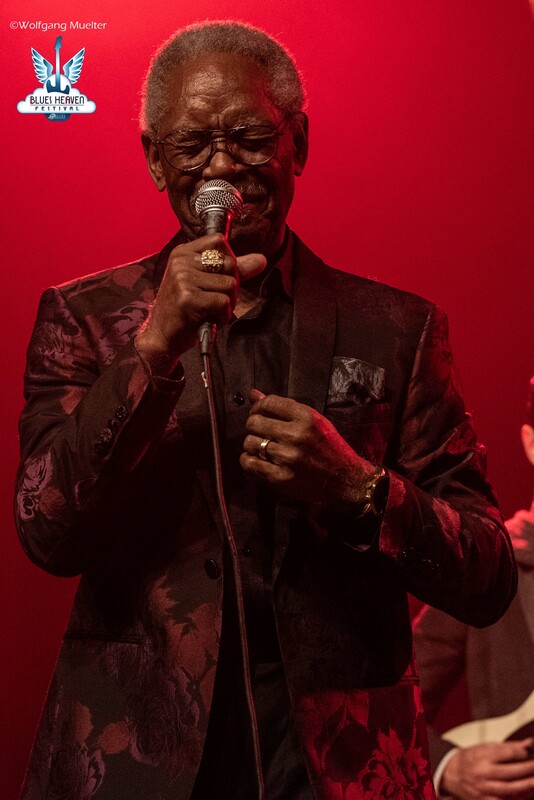 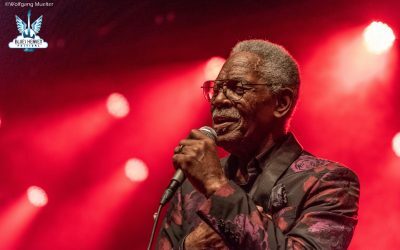 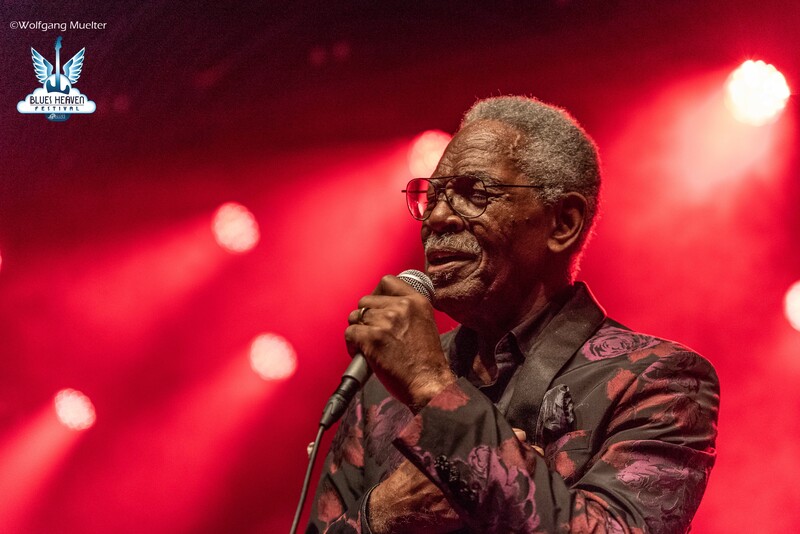 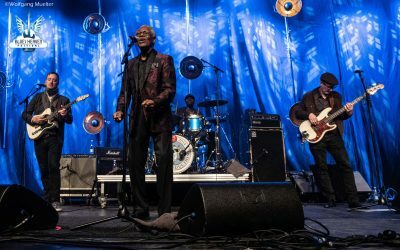 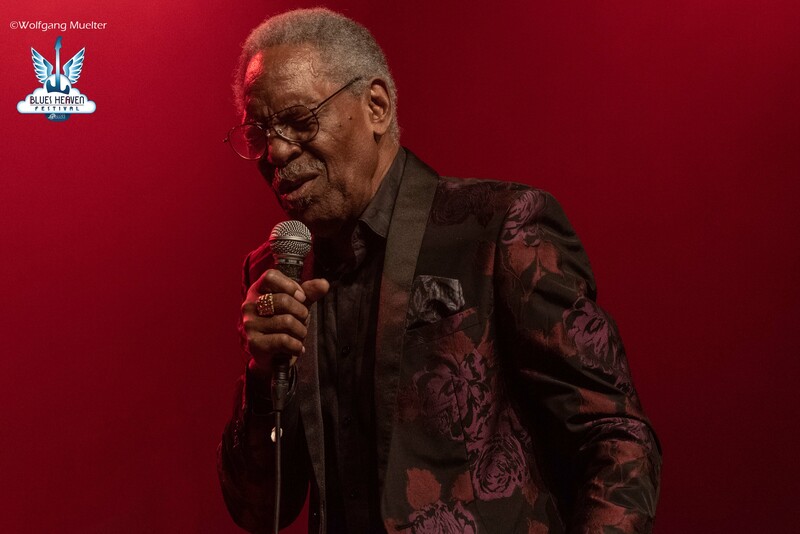 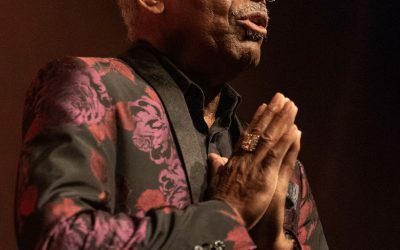 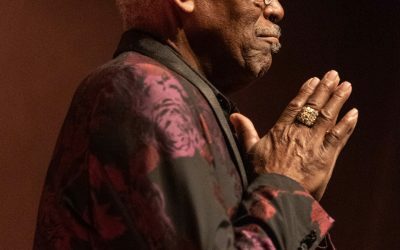 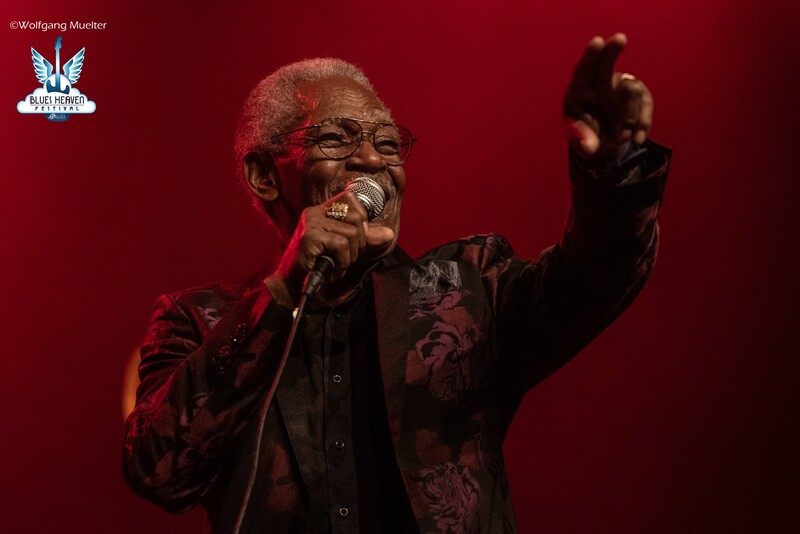 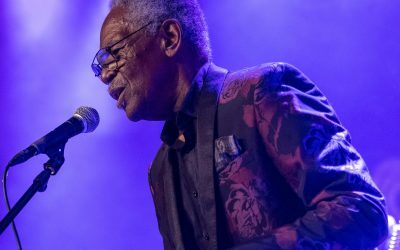 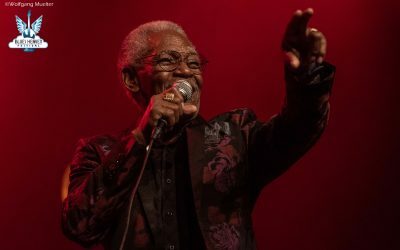 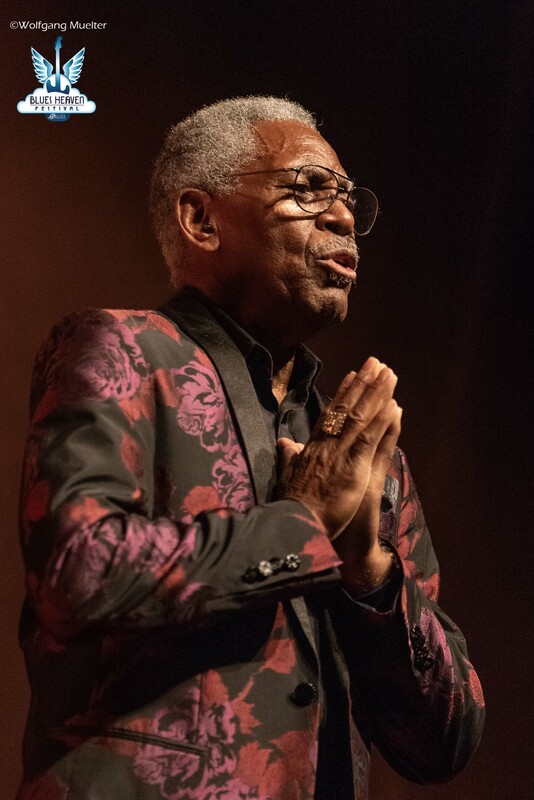 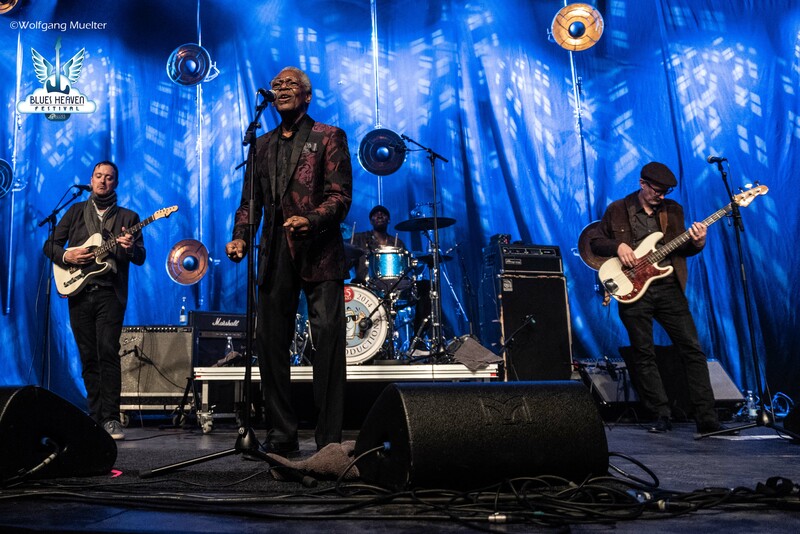 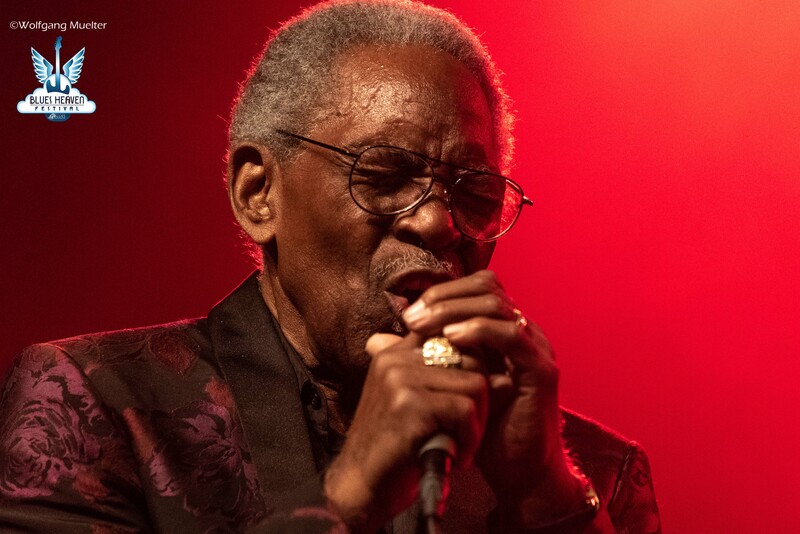 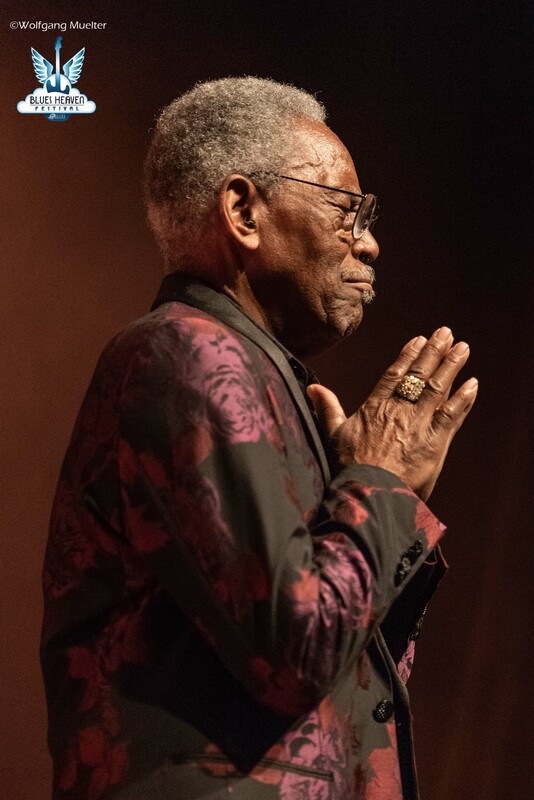 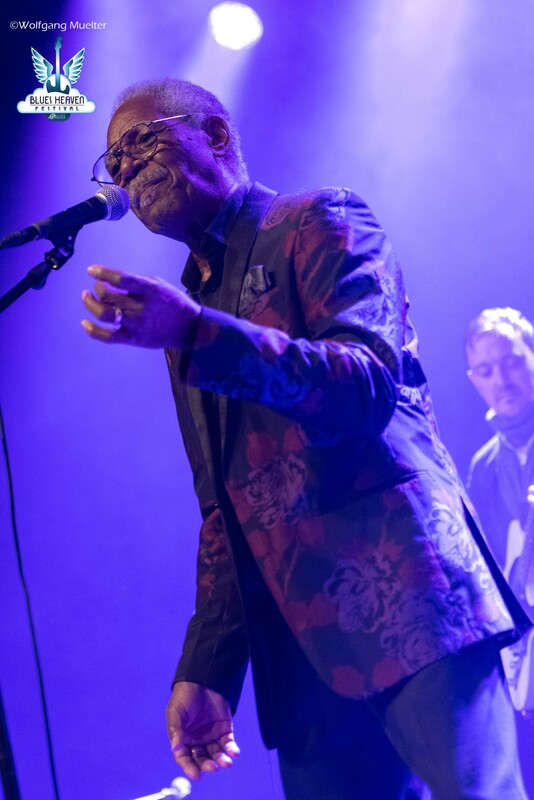 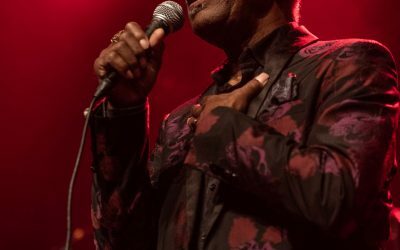 Don Bryant & The Bo Keys at Bluesheaven Festival, Frederikshavn DK on 2018-11-02. 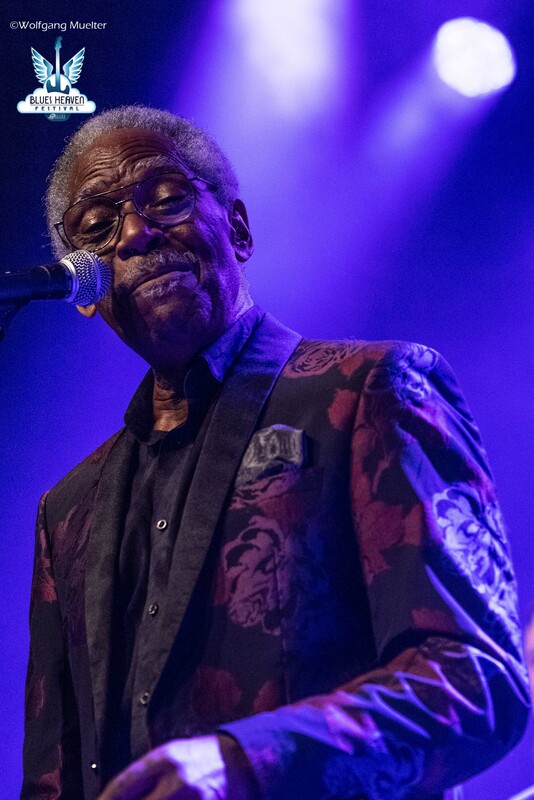 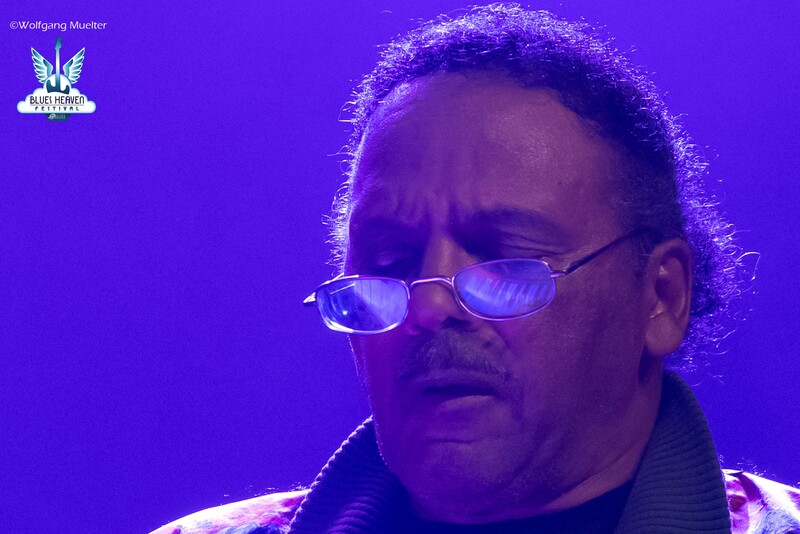 Memphis soul was in the house when Don Bryant & The Bo Keys entered the stage at Nord Arena in Denmark. 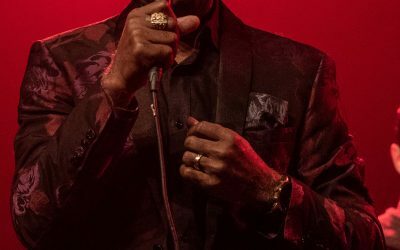 This group is what happens when Memphis soul icons and young musicians steeped in the tradition of Memphis blues, soul and R&B come together. 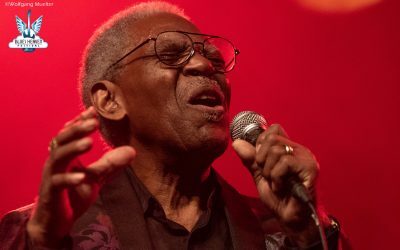 Don Bryant was the man behind countless hits out of Hi Records, including “I Can’t Stand The Rain,” which he wrote for his wife, Ann Peebles. 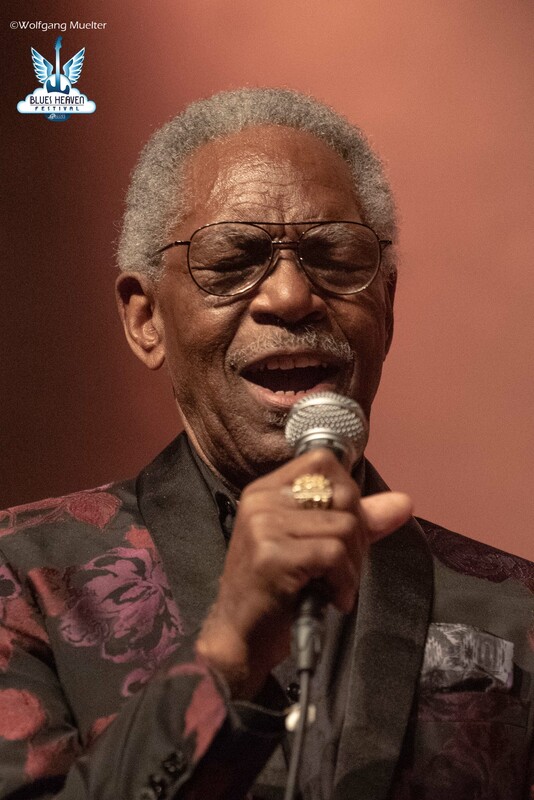 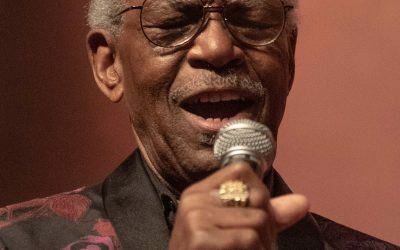 A longtime vocalist for Willie Mitchell’s bands and his own groups, Don Bryant’s roots are in gospel and doo-wop. 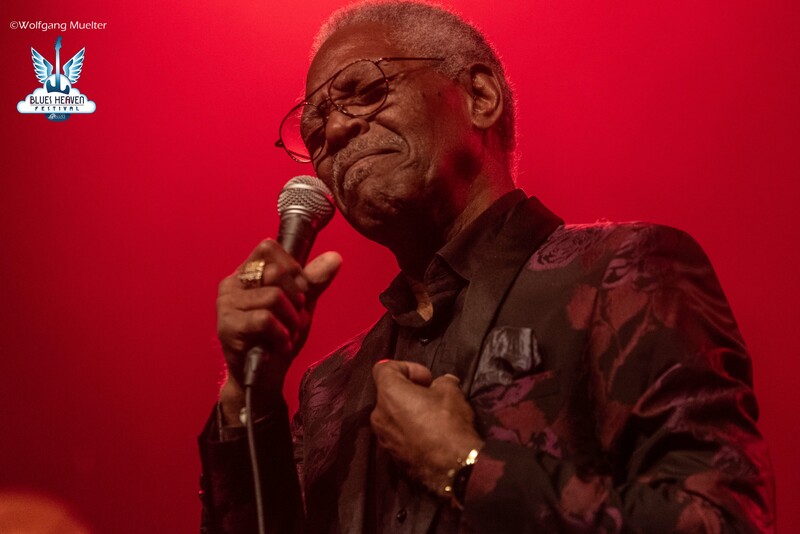 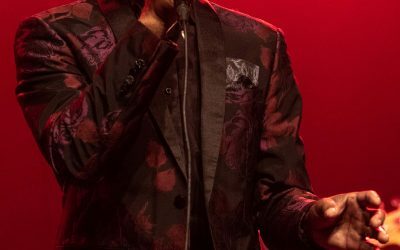 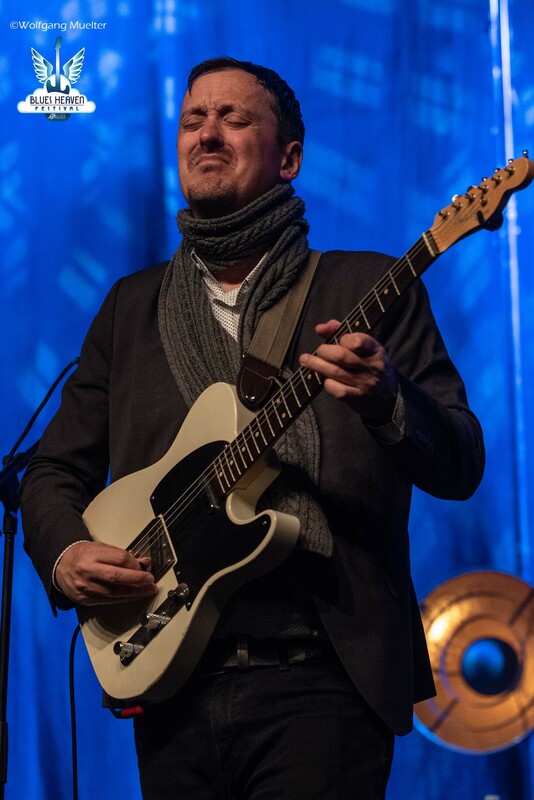 After countless performances and recordings of his own, he settled in behind the scenes, lending his prodigious songwriting talent to numerous artists. 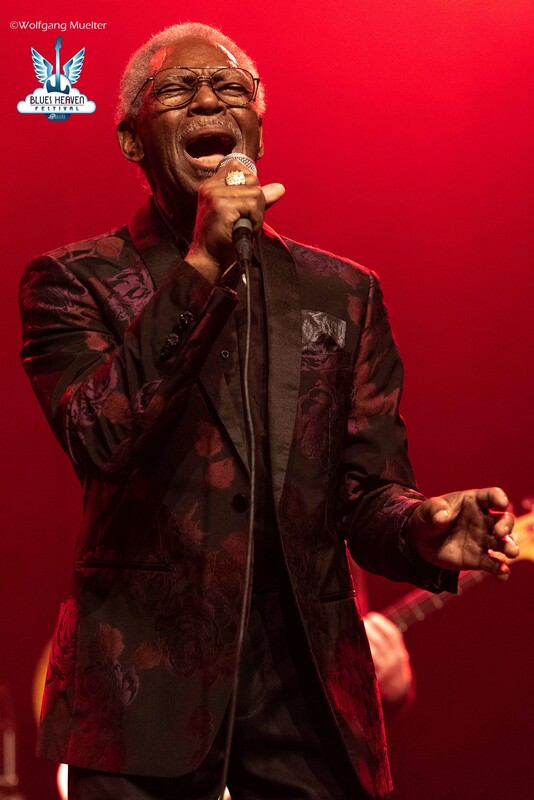 Today, his voice is silky smooth, cascading from thrilling falsetto to mellifluous tenor and back again. 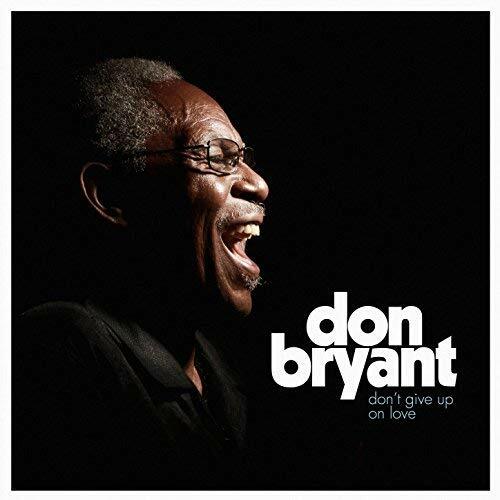 In 2017 Don Bryant released his latest fantastic album “Don’t Give Up On Love” on Fat Possum Records. 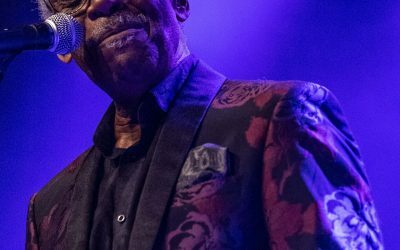 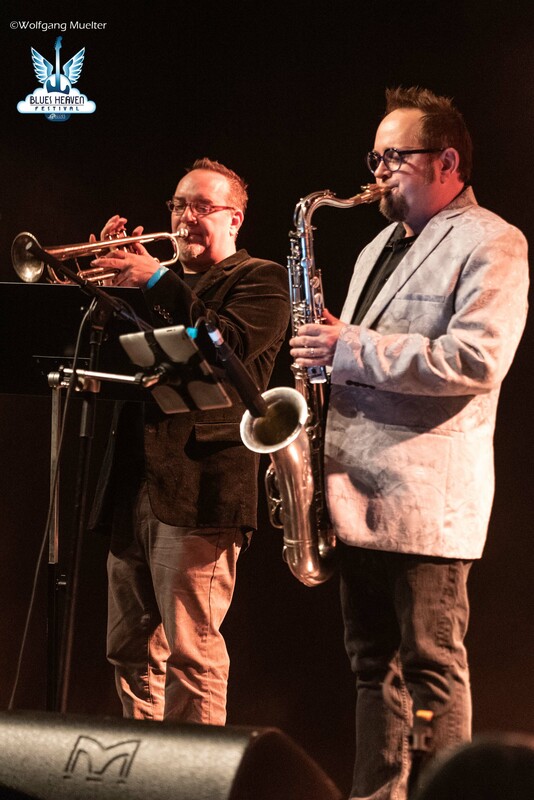 The Bo-Keys are a band of session musicians from the Stax and Hi Records studios who found themselves languishing without work once those studios closed. 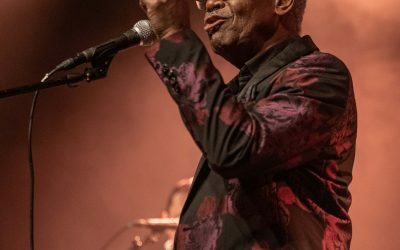 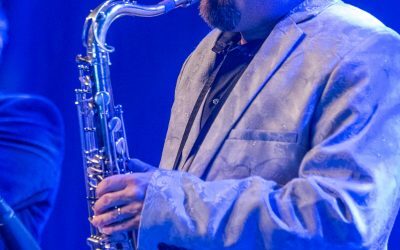 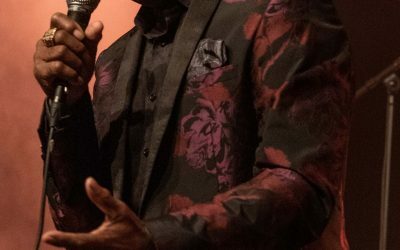 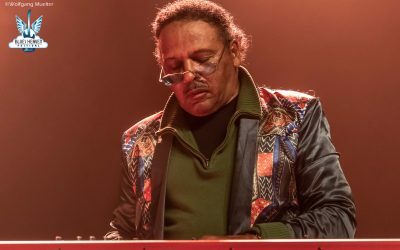 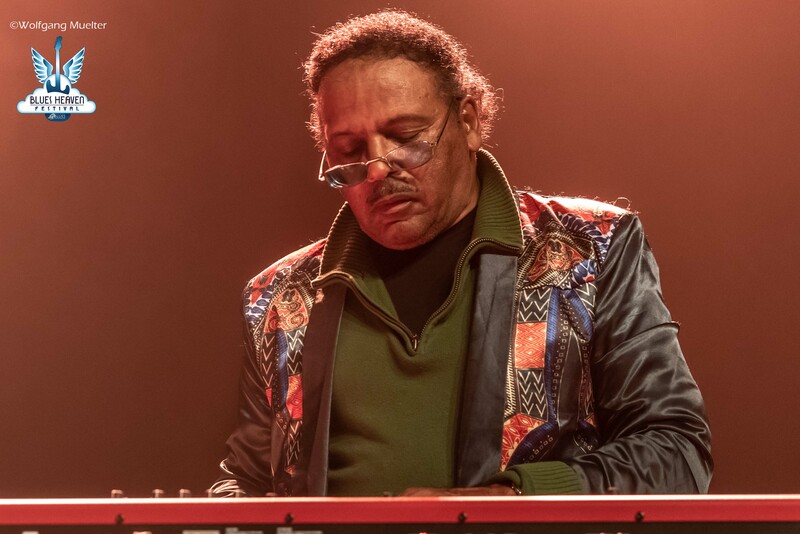 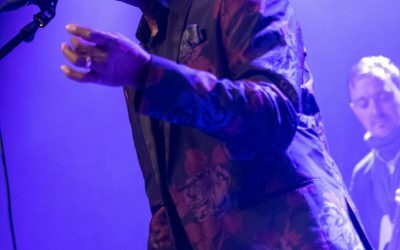 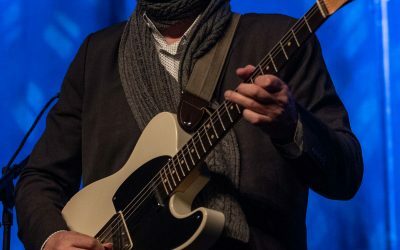 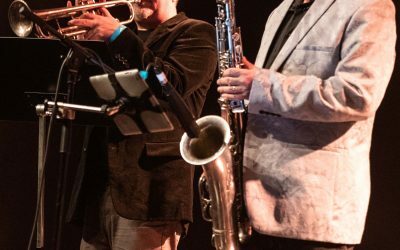 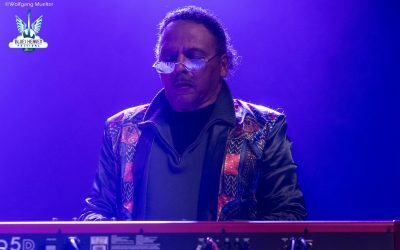 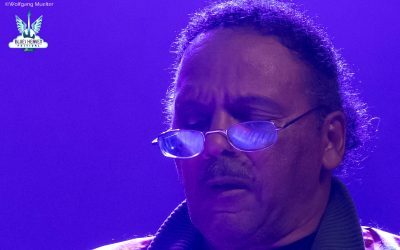 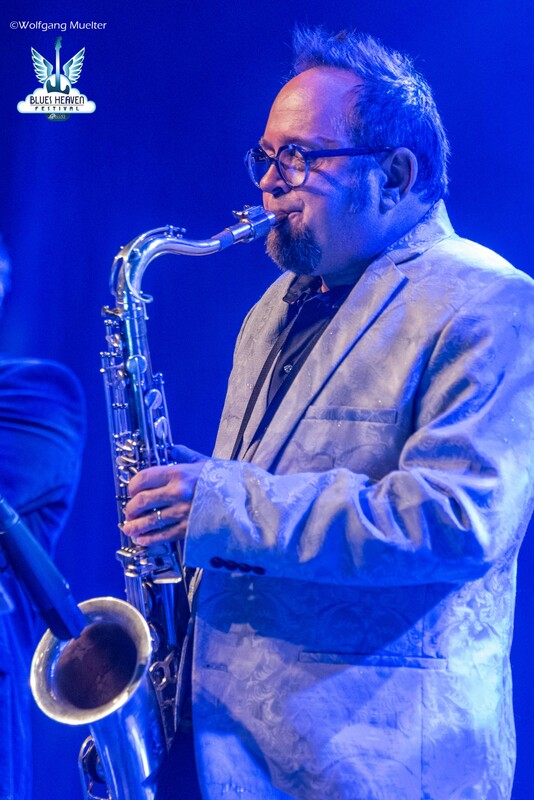 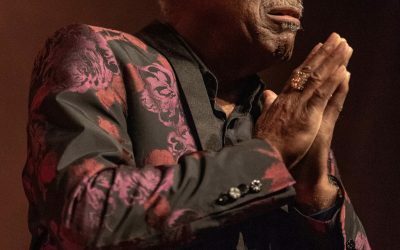 Comprised of those veterans and younger musicians who revered the Memphis soul sound, the band is keeping the tradition alive and dynamic. 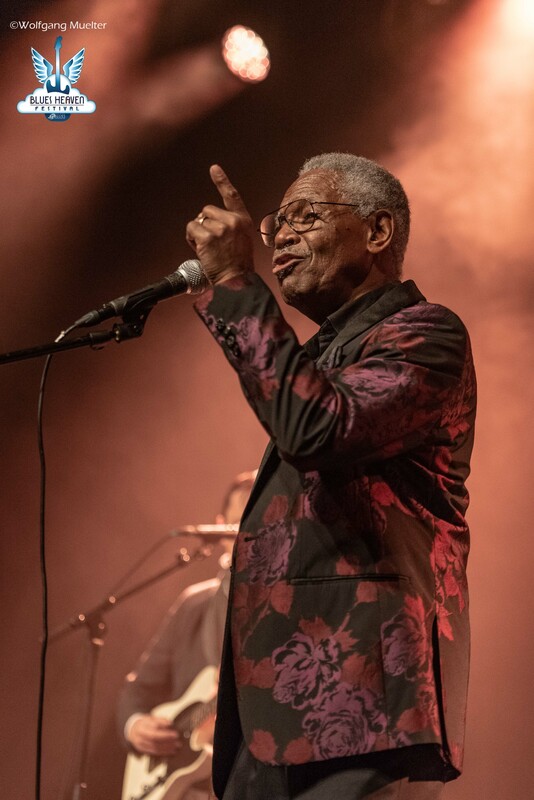 Now fronted by Don Bryant, they are living, breathing music history.